(Francisco Kjolseth | The Salt Lake Tribune) The gas tax for education appears to be coming up short. 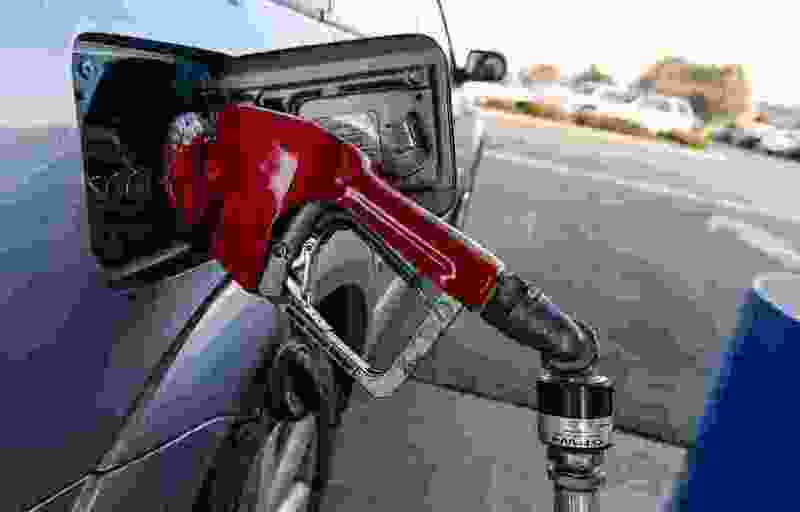 A ballot question asking voters whether the state’s gas tax should be increased by 10 cents per gallon to free up more funds for education was quickly and heftily defeated Tuesday night. Nonbinding Opinion Question No. 1 fell on shaky ground this spring after a risky compromise with the Legislature. And it never regained the early momentum it had before that deal. Nearing midnight, results showed 66 percent opposed. It was losing in every county that had reported. Our Schools Now initially pushed for a ballot initiative — and collected 165,000 signatures in that effort — that sought to boost education funding by $700 million through income and sales tax increases. But in March, the group agreed to set that aside and, in exchange, lawmakers passed a property-tax bill that allocated $200 million for education. The remaining piece of their compromise, the gas tax, would have netted an additional $100 million or more — and legislators had promised to enact it if voters indicated majority support on the nonbinding question. Still, it was a bit of a three-step dance. The tax revenue, had it been raised, would have replaced general fund dollars currently used for transportation; that would have made a corresponding amount available for education. All in all, the funding would’ve been less than half of what Our Schools Now originally sought. And even with the support of the Legislature, the governor and the largest teachers’ union in the state, the deal dampened and undoubtedly complicated the push for more school funding. The anti-tax Americans for Prosperity chapter in Utah, which led opposition to the ballot question, heralded the results Tuesday. The group believes taxpayers here would rather see the state reprioritize the money is already has. Our Schools Now also faced a substantial challenge in convincing Utah voters, who are overwhelming Republican, to vote for a tax hike. Heidi Matthews, president of the Utah Education Association, hoped residents would see beyond party and in favor of students. She said Tuesday that teachers would have to look for other ways to fund education.